Julie Gralow, MD - Play for P.I.N.K. Bone is the first site of distant recurrence in 25%-40% of metastatic breast cancer cases. BCRF/PFP has supported clinical research to study the interactions between the bone environment and breast cancer cells that leads to breast cancer bone metastasis. Seeking to increase awareness and improve treatment of breast cancers that have spread to the bone. Studies are ongoing to analyze data from clinical trials to better understand how best to intervene and prevent this disease. These efforts will inform future strategies to prevent bone metastasis and improve treatment for patients with breast cancers that have spread to the bone. Bone is often the first site of recurrence of metastatic breast cancer. Clinical trials have shown that bisphosphonates (drugs that have a strong effect on bone) reduce bone loss and fractures and improve bone symptoms in breast cancer patients with bone metastases. Dr. Gralow is analyzing tissue, serum, and blood samples from patients to identify specific markers to determine which patients are at risk for developing bone metastasis and might benefit most by receiving a bisphosphonate agent. Bone is the first site of distant recurrence in 25-40 percent of metastatic breast cancer cases. There is a synergistic interaction between the bone environment and breast cancer cells that enables bone cells to stimulate the growth and survival of breast cancer cells that migrate to the area. Dr. Gralow is conducting studies to improve outcomes for women with breast cancer bone metastasis. Bisphosphonates are a class of drugs that inhibit the breakdown of bone. In low doses, bisphosphonates can reverse the effects of osteoporosis. In high doses, they have been shown to reduce bone destruction and improve bone symptoms in breast cancer patients with bone metastases, and to reduce and/or prevent bone metastases when given to newly diagnosed, early stage breast cancer patients. Dr. Gralow and her international colleagues will analyze data on tissue, serum, and DNA biomarkers collected from patients in multiple clinical trials to identify and select patients who are most likely to benefit from bisphosphonate treatment. Julie R. Gralow, MD, is the Jill Bennett Endowed Professor of Breast Cancer at the University of Washington (UW) School of Medicine, Director of Breast Medical Oncology at the Seattle Cancer Care Alliance, and Member of the Clinical Research Division at Fred Hutchinson Cancer Center (FHCRC). As a clinician-researcher, Dr. Gralow has developed and implemented numerous clinical trials that study new regimens for breast cancer prevention and treatment. She promotes exercise and a healthy diet for improving quality of life among breast cancer patients. She also has an interest in international breast cancer education. Dr. Gralow’s primary research expertise is in the field of breast cancer bone metastases and bisphosphonates (drugs that slow bone cell turnover, leading to a decreased risk of developing bone metastases). Dr. Gralow is PI for the clinical core of the FHCRC/UW Breast Cancer Specialized Program of Research Excellence (SPORE) grant. She currently serves as an Executive Officer for SWOG overseeing breast and lung cancer efforts. 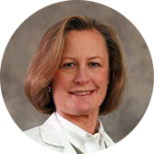 She has served as an alternate member of the NCI Breast Cancer Steering Committee since its inception, and co-chaired an NCI State of the Science conference on preoperative therapy in breast cancer in 2007. She also serves as a member of the Leadership Team of the FHCRC’s application to NCI as a Network Lead Academic Participating Site (LAPS) in the National Clinical Trials Network. Let’s start with an update on the projects you’re conducting that are supported by BCRF through the Play for P.I.N.K. Award. The primary projects that BCRF and Play for P.I.N.K. have helped fund have been part of our involvement with the national clinical trials network. One project is looking at whether using drugs that prevent or reduce bone breakdown can be used to prevent breast cancer recurrence. To date, trials looking at osteoporosis drugs for prevention of breast cancer recurrence have been inconclusive, but one recent analysis that looked at multiple trials suggested that adding these drugs to adjuvant chemotherapy can reduce breast cancer recurrence and death, at least for post-menopausal women. Our trial is comparing three different drugs, all in a class called bisphosphonates, that prevent bone breakdown. Our first results from this trial, which are being presented here at ASCO, are looking at the differences in toxicities and fractures among the three drugs, as well as patient preferences for IV or oral administration. Our data suggest that one drug, clondronate, which is widely used around the world, but not approved in the US, had the lowest rates of osteonecrosis of the jaw, a rare but serious side effect of bisphosphonates, and that toxicities overall are very low for all the drugs we tested. This is just the first of a lot of important data that are going to come out of this trial, including which patients are most at risk of bone metastases vs. liver metastases, for instance. This is the first trial to compare toxicities of these drugs and I’m hoping to be able to use this data as a way to try to get clondronate approved in the US so patients have an option. We’re hoping that in a couple of years to have even more important data including whether one drug is better than the others in reducing breast cancer recurrences and which patients are most likely to benefit. We’re also going to do a lot of translational research using tissue blocks that were collected from all the patients, thanks in part to BCRF, which will allow us to sort out how to predict risk of recurrence. Play for P.I.N.K. and BCRF supported some of the infrastructure for doing this work, including a tissue microarray of 6000 patients that is being done by Co-PI Dr. Peggy Porter (Fred Hutchinson Cancer Research Center, Seattle). The tissue microarray is an enormous resource that will be used for years to come. In addition, BCRF and Play for P.I.N.K. have also supported the Male Breast Cancer Study, a collaborative international project seeking to understand the biology of male breast cancer. Because male breast cancer is so rare, making up less than 1% of breast cancers, we don’t know much about it. BCRF and Play for P.I.N.K. have helped support a retrospective registry of tissue from male breast cancer patients in the US that will be used to create tissue microarrays, which will then be used to ask questions about male breast cancer. This project also includes a prospective study where newly diagnosed male breast cancer patients will be enrolled. This part of the project is being conducted by the Translational Breast Cancer Research Consortium, also funded by BCRF, and we’ve very excited about where that project will lead, as well. The third project that BCRF and Play for P.I.N.K. support is a large clinical trial looking at early-stage, estrogen receptor positive breast cancer with some lymph node involvement, to determine which patients will do well without chemotherapy. It used to be that anyone with lymph node involvement would be treated with chemotherapy plus endocrine therapy, such as tamoxifen or an aromatase inhibitor, but we now understand that these tumors all have different biologies and that some patients will do fine with good endocrine therapy alone. The Play for P.I.N.K. award specifically provides salary support for me to serve in the role of primary investigator of the project. This is really important work that’s helping us to understand how we can get away with less therapy by omitting chemotherapy for patients who don’t need it. The goal is to reduce toxicities from unnecessary treatment. What led you to become a breast cancer oncologist? I always knew I wanted to be a doctor, but two key things happened that sealed my fate as a breast oncologist. As an undergraduate at Stanford University, I happened to take a job in an oncology lab that studied tumor immunology. I wasn’t particularly interested in oncology at the time, but needed the laboratory experience for medical school. I learned how to prepare immunotherapies called monoclonal antibodies that were given to patients. I thought that was the coolest thing ever and it also made me realize that there’s so much to be done in oncology that can be readably applicable to a patient population. By the time I got to medical school I knew I wanted to go into oncology. Secondly, during my oncology fellowship in Seattle, which was also in an immunology lab, I picked a project that focused on a new breast cancer gene that seemed to cause a very bad type of breast cancer. That gene turned out to be HER2! Now we have Herceptin and other targeted therapies for HER2. And what keeps you going every day? Having my clinic and seeing my patients keep the “face” of cancer in front of me. While you can look at the statistics and see that we’re doing much better treating breast cancer, there is still too much toxicity, and there are still patients who don’t survive, in spite of having access to the best treatments. What keeps me going every day is knowing that we have to do better, not only in terms of recurrence and death, but also in reducing drug toxicities. What are you most excited about in breast cancer research today? We are at the intersection of the era of targeted therapy merging with the new age of genomics that has come about from the sequencing of the human genome and the creation of The Cancer Genome Atlas. With a better understanding of a patient’s inherited genetics and the tumor’s acquired genetics, we will be better able to apply current and future targeted therapies to individualize treatments and achieve better outcomes. Clinical trials are already moving in that direction. There are clinical trial protocols being developed that will pair participants with treatments based on the tumor’s genetic information, allowing for smarter, smaller and cheaper clinical trials and faster cures. What do you see as the major challenges facing the breast cancer research and care communities? We need to address the issue of costs, access to cancer care, and management of care in the genomics era. We can save money by designing smarter clinical trials that will help us better select patients and the most appropriate drugs so that not everyone is exposed to an arsenal of expensive drugs and their side effects if they wouldn’t benefit from them. We still have lots of women in the United States who don’t have good access to care or who are diagnosed late for a variety of reasons. I also work with cancer patients and survivors in the developing world. While there are obvious differences in barriers to cancer care between the US and a developing country, there are a lot of similarities. There are pockets of people in the US who can benefit from what we’re learning in the developing world, both in getting services to the people who need them and in providing low cost options. We can learn how to do things more cheaply by working in poor countries with limited resources. I’ve always been an advocate for multidisciplinary cancer care teams that are working together to manage a patient’s care from the start, before any decisions are made. As we begin to incorporate more genomics information, the team will have to include people from the genomics and proteomics fields, as well as biostatisticians. There’s an overwhelming amount of information being generated as we focus more on genomics, and we need to find ways to process all the data so that it can be informative. It’s a Herculean task, but we’ll figure it out, because it’s critical. It’s what’s going to get us to smarter medicine and much more individualized treatments. What does the end of breast cancer look like to you? That’s complicated. I’m not sure that we’re ever going to not have any breast cancer. In breast cancer there isn’t an obvious single cause and the biggest risk factors are being female, getting older and the number of menstrual cycles a woman has in her lifetime. Because we can’t control all the risk factors, I think it will always exist, but my view of the end of breast cancer is the end to significant morbidity and mortality from breast cancer. That would mean preventing some of it, finding it early, not overtreating – but not undertreating either. We need to learn how to make the new genomics technologies and targeted therapies derived from them affordable, to get rid of the stigma and barriers to care, to figure out how to deliver this across the world and to put it in the perspective of overall health. If you could personally thank a Play for P.I.N.K. contributor for their support of BCRF, what would you say to them? The support that Play for P.I.N.K. has provided over the years has been invaluable. It’s allowed us to create an infrastructure for future research, particularly in the tissue banks that PFP funds supported that will be used for decades to come to answer questions we don’t even know yet. It is very hard to get funding to set up a resource when you don’t even know what the questions will be. Play for P.I.N.K. has trusted us to set up something that we know is going pay off for many years and that will allow researchers to ask questions that will help women diagnosed yesterday as well as tomorrow. Thank you for your trust.